Sierra Jones (sister of Cal Jones hero of What We Find) grew up with a schizophrenic father and an inattentive mother and with little sense of security and stability. As the youngest of the Jones siblings and the last to leave home, she felt abandoned and alone from the time her older siblings left, particularly her protector, Cal. With this background, it is perhaps not surprising that she turned to alcohol and drugs as an adult, although she told herself that she was never addicted to these substances and that she remained in control of her own life. But one night an abusive boyfriend behaved in a manner that literally frightened her into rehab as a safe zone. After completing a rehabilitation program, she spent time in a group home. Sierra wants a different life from what she has known for the first three decades of her life, and the invitation from her brother Cal to visit him in Sullivan’s Crossing, Colorado, to meet her new sister-in-law Maggie seems like the perfect opportunity for a fresh start. Nine months sober and counting, Sierra may be searching for a lot of things, but love, at least in the romantic sense, is emphatically not on her list. Conrad Boyle, who grew up in Timberlake, the town nearest Sullivan’s Crossing, has less baggage than Sierra, but his upbringing was not idyllic. Undersized as a child and saddled with a name that was inevitably shortened to “Connie,” he was the target for bullies at school and at home he had to cope with an angry, verbally abusive man, first his father and then his step-father. He was seventeen before he discovered the joy of being part of a loving family. When his mother divorced his step-father and moved to Denver, Conrad moved in with the family of his best friend, Rafe Vadas. Rafe’s parents treated him like one of their own, and Conrad’s dream of having his own happy, healthy family was born. He thought he had found his dream once, but that dream ended in betrayal and infidelity. Since then, Connie has dated a great many women, but he has no plans for a committed relationship. As a firefighter, a volunteer with a rescue squad, and a well-liked guy in his community, his life is full. Even the nickname “Connie” is a non-issue for a confident, brawny, good-looking guy. Sierra and Connie are attracted to one another from their first meeting, but as soon as Connie realizes that Sierra is Cal’s sister, he knows she will not be one of his short-term flings. As for Sierra, she has no confidence in her judgment of men, and she is intent on directing her energies toward creating her new life. But as they spend more time together, Sierra and Connie find that they genuinely like each other, they have common interests, and that spark of attraction is igniting. But Connie knows Sierra has secrets she has yet to share. Just when it seems they have moved past all obstacles, Sierra’s past shows up in Colorado, and he is more dangerous than ever. 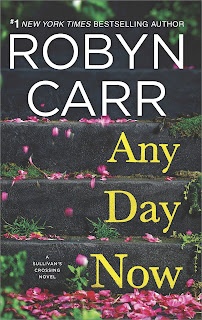 Any Day Now, the second book in the Sullivan’s Crossing series, is more proof that nobody creates community-centered romance better than Robyn Carr. Sierra and Conrad are interesting, likable characters who have overcome real difficulties. Readers will find it easy to be pulled into their story and to root for their HEA. Their story gains depth because it is told within the context of Sullivan’s Crossing and a full cast of dimensional characters who have their own stories. 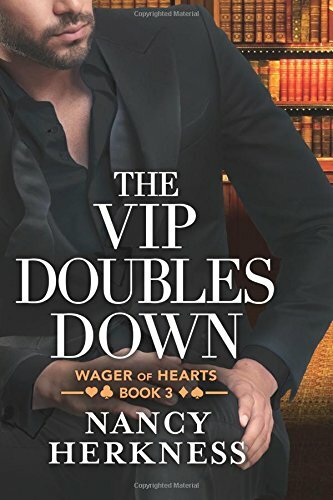 Fans of the first book in the series will especially enjoy seeing more of Cal and Maggie and Maggie’s dad, Sully, an irresistible and unique father figure. 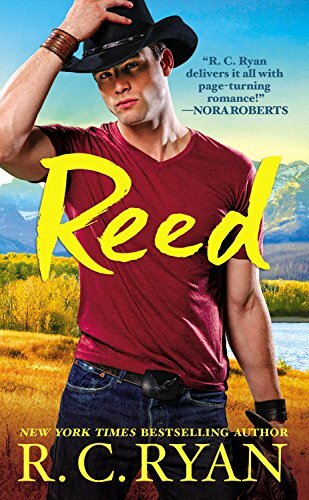 There is also a sweet secondary romance for builder Tom Canaday and an intriguing appearance by another Jones sibling, brother Dakota. The down side to Carr’s gift for creating series that engage the readers fully with the community is that readers are reluctant to leave. For readers who responded to What We Find with complaints that Sullivan’s Crossing was not Thunder Point or Virgin River, this second book promises that Sullivan’s Crossing will earn its place alongside Carr’s other communities in your affections. I found the second book even better than the first. 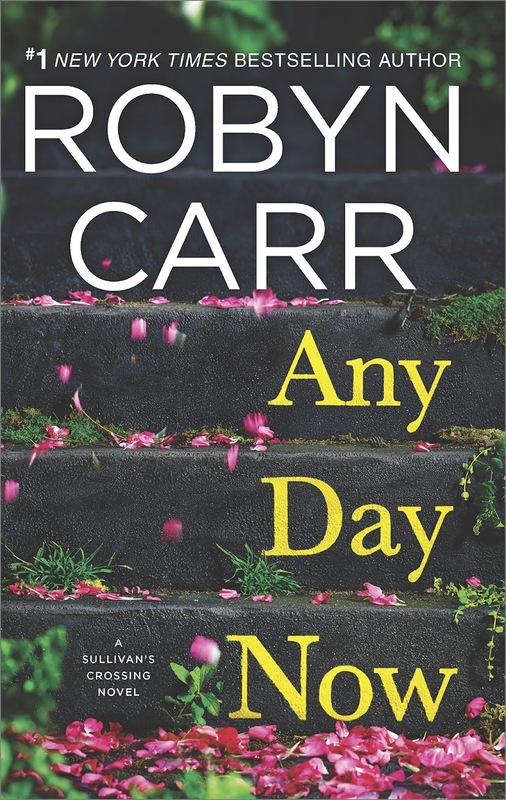 If you like Robyn Carr or small-town romance generally, I think you will like this book. I give it an enthusiastic thumbs-up. 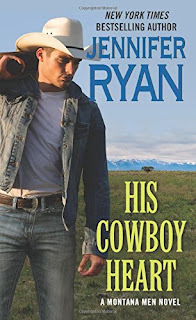 Since discovering Jennifer Ryan's books two years ago, she has become one of my favorite western contemporary romance authors. Her deeply emotional stories with strong family themes and well-woven threads of suspense never fail to engage my interest and my emotions. 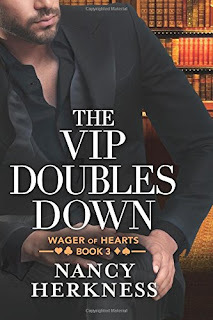 His Cowboy Heart is the third book in a strong trilogy and, as with the others, these characters burrowed their way into my heart and refused to let go. Ford and Jamie's story is not only a second chance romance; it's also a story of desolation, danger, tentative hope, unconditional love, and one of the most moving, heart-wrenching, and realistic depictions of PTSD that I've read in a romance novel. And, don't worry, there's also a sigh-worthy HEA! Ford and Jamie are both worthy characters who have more than earned their happy ending. There's so much I could say about them as well as their individual, and joint, journeys but that is a story that's best unveiled page by page - with an open heart and tissues close at hand. 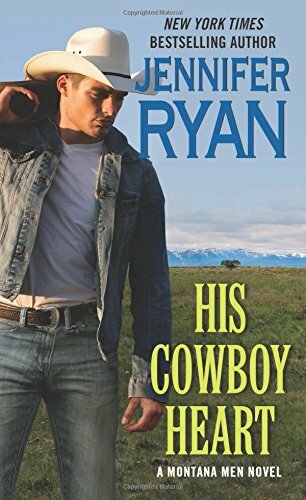 I highly recommend His Cowboy Heart along with the first two books in the trilogy, Stone Cold Cowboy (read my review) and Her Renegade Rancher. 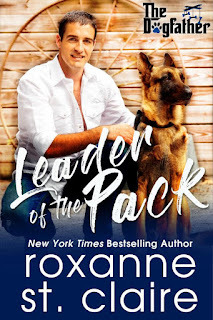 I'm already counting down the weeks until Ryan introduces her new Montana Heat series featuring, in the first two stories, DEA Special Agents Caden and Beck "Trigger" Cooke whom readers met in Stone Cold Cowboy. Caden's story, Her Dangerous Protector: A Montana Heat Novella will be available June 20 while Beck's story, Escape to You: A Montana Heat Novel will be released August 29. You can bet I'll be getting both! Have you read any romances with a PTSD storyline? What did you think? Have you discovered Jennifer Ryan's contemporary western romances yet? Do you have a favorite? One randomly chosen person who leaves a comment before 11:00 PM (EST), April 28, 2017 will receive a print copy of Her Renegade Rancher and His Cowboy Heart. Hi, everyone! PJ here. 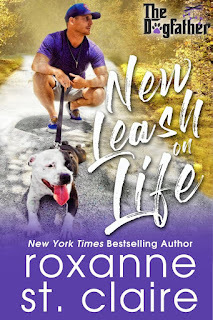 I'm delighted to welcome one of my favorite authors, Roxanne "Rocki" St. Claire, to the blog today for a Q&A about her new series and the first book, Sit...Stay...Beg. Anyone who spends time with me quickly learns of my love of rescue dogs, big families, and heartwarming romance. Combine those three into a series of books set in the beautiful mountains of North Carolina and you can count me one very happy reader. After reading Sit...Stay...Beg, I'm all in with The Dogfather (patriarch Daniel Kilcannon) and his goal of seeing each of his children find the kind of love he shared with their mother, his recently deceased wife. Centered around the family's dog rescue and world class training facility, this story brings all the feels. I fell head over heels in love with this family. Once I started reading, I couldn't put the book down and when I finished I wanted to start at the beginning and read it all over again. 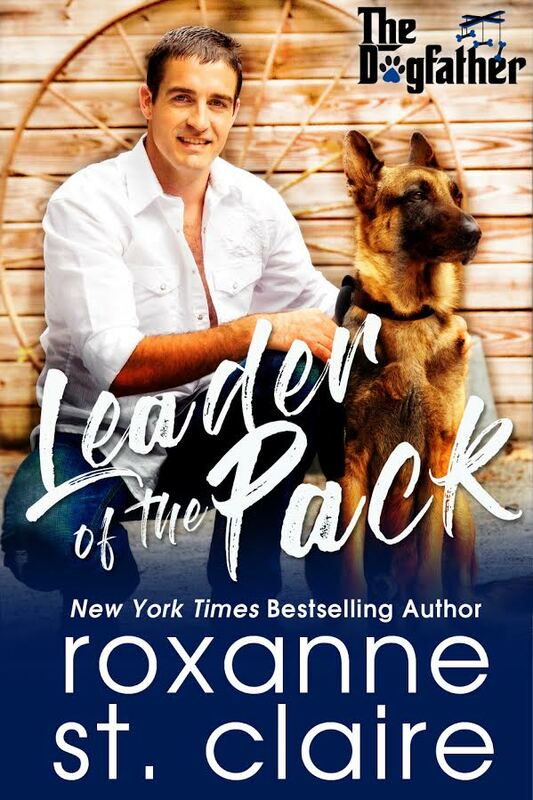 The canine characters are just as vital to the stories as the human ones with Lola, an Aussie-Border Collie mix, and Garrett and Jessie (the hero and heroine of this book) all capturing my heart with their first joint appearance on the page. How people interact with dogs tells a lot about the type of people they are. Jessie and Garrett are good people, a great match, and worthy of their eventual happy ending. I cheered for them - and Lola - the entire way. If you enjoy a well-crafted, family-centric romance that will tug at your heartstrings and leave you smiling then I highly recommend you pick up a copy of Roxanne St. Claire's Sit...Stay...Beg. 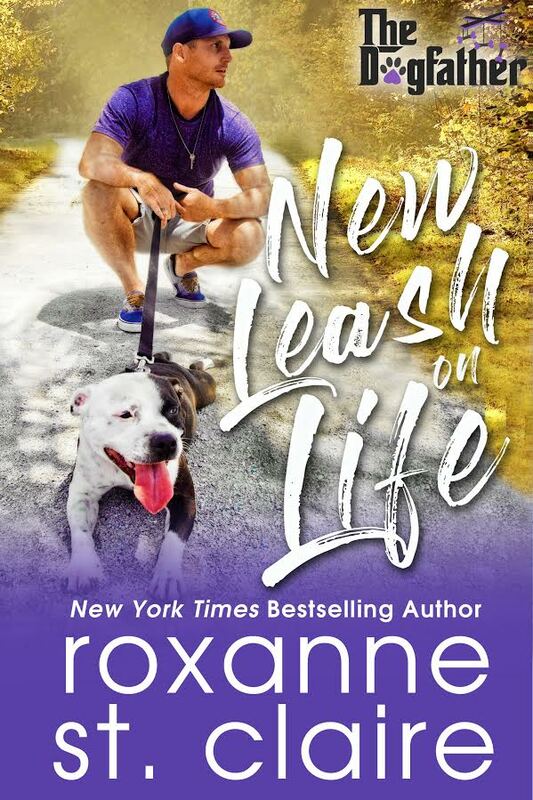 I've already marked my calendar for book two, New Leash on Life, scheduled for release May 22. Thanks for joining me today, Rocki. 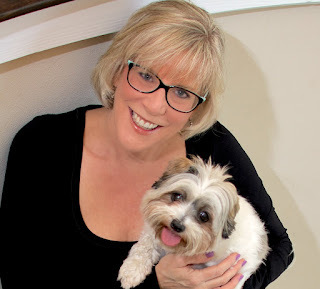 I’m so excited about your upcoming The Dogfather series and the first book, Sit…Stay…Beg. Thank you for inviting me, PJ! You know I’m a fan of the site and so excited to be here to share the news about the series and book! I’ve seen the covers for the first four books in this series and they feature some very inspiring hero material but I understand these guys aren’t your typical professional cover models. Please tell us about the men who grace your Dogfather covers. No, these are not professional models – they are just regular guys who posed for a calendar to help raise money for the Alaqua Animal Refuge near Pensacola, Florida. (www.alaqua.org) On the cover of SIT…STAY…BEG is a man named Louis Petit, and he’s the owner of a wonderful restaurant in Santa Rosa, Florida, called Louis Louis. Don’t ya kind of want to eat there tonight? And that’s Flush, an Aussie-Border Collie mix who was adopted through Alaqua’s amazing rescue program. That gorgeous creature (the dog, not the guy) is exactly the dog featured in the story, named Lola. And the hero’s hat plays a role, too. That’s his “doggone hat” (as his mother used to call it) and he ONLY wears it on the days he’s delivering a rescue, because the dog has gone to a forever home! I loved that hat in the book and what it stood for. You mentioned above that the men and dogs on your covers came to you via the Alaqua Animal Refuge. 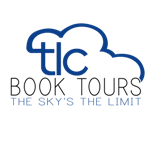 Please tell us a bit about the work they do. How will they benefit from the publication of these books? Yes! I knew I wanted something very different for the covers. Not just a couple with a photo shopped dog, but something that really captured the essence of how rescues and romance come together. One of my friends said to me, “Rock – hot guys and cute dogs. What else do you need?” I started looking for images and found some from a fund-raising calendar that had been done for Alaqua. Excited that the refuge was in Florida, I contacted the photographer to talk about purchase of the photos for covers. She told me about Alaqua and the work they do there and I instantly knew I wanted to support the facility with donations. A portion of the preorders and first month sales for every book in the series will be donated to Alaqua. It takes almost $80,000 a MONTH to run that facility, which is massive and home to many, many animals. The owner is a doll, and, of course, this is a no-kill shelter. They love animals! And I’m headed up there this summer to shoot more covers for the 2018 books! What inspired you to create a series centered around dog rescue? I love dogs! The whole idea was born out of a T-shirt I bought for my husband that says “The Dogfather” on it because of how he nurtures our furbabies. A friend of mine joked that I should write a series called that so I could put dogs in every book. The idea just blossomed as I thought more and more about it. I have long wanted to write a big family with lots of siblings and cousins, but needed something special to tie them all together. Not just a shared past or a small town (though the series has an adorable fictional setting), I wanted all the characters to work together. That keeps the whole family frequently on the page and I know readers love that. The idea of an elite rescue and training center came to me and then Waterford Farm, the Kilcannon family, the town of Bitter Bark, North Carolina, and a whole new series was born. The Dogfather is an actual character in the series, Daniel Kilcannon. He’s known as "The Dogfather" for a reason. It's not just his renowned skills as a veterinarian, his tremendous love of dogs, or the fact that he has turned his homestead in the foothills of the Blue Ridge Mountains into a world class dog training and rescue facility. Ask any of his six grown children who run Waterford Farm for him, and they'll tell you that their father's nickname is due to his uncanny ability to pull a few strings to get what he wants. And what he wants is for his four sons and two daughters to find the kind of life-changing love he had with his dearly departed wife, Annie. This old dog has a few new tricks...and he'll use them all to see his pack all settled into their happily ever afters! How many books will there be in The Dogfather series? Do you have a release schedule for this year? Please tell us about the four-legged family members who share your life. How do they inspire you? 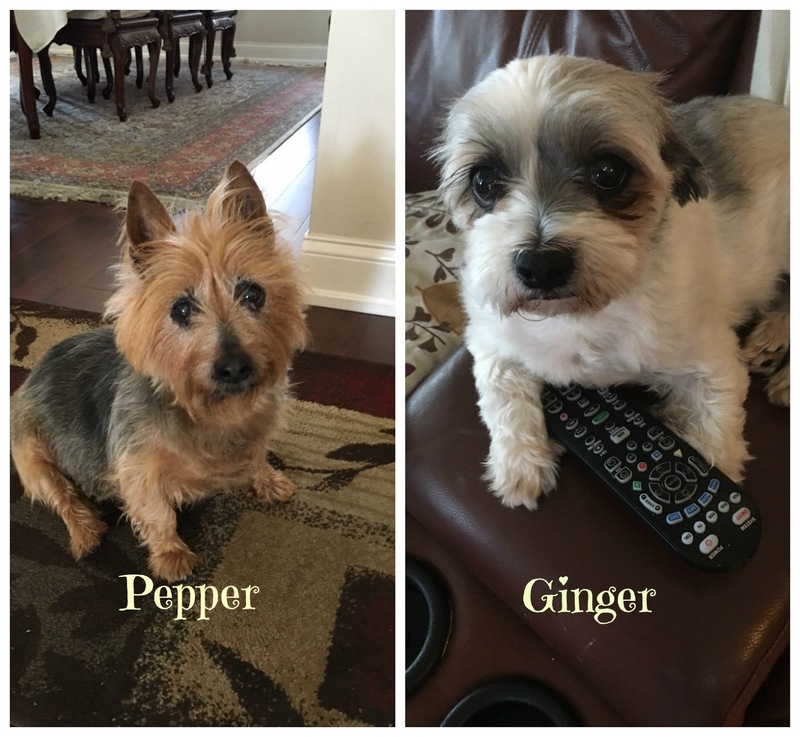 Ginger and Pepper!!! They own my heart and rule my roost! Ginger is a little white and mushroom Shih Tzu, four years old, and such a love. She picks her favorites and, if you’re one of them, she’ll attach to you. She spends most of her days on my office floor, sleeping to the sound of my keyboard. Pepper is the dog who made a dog lover out of me. Before Pepper, I was a little afraid of dogs and very wary of even touching one. I’d never had a dog growing up (my mother was a tad germophobic, so we had no animals) and I never thought I’d own a dog. Then I had kids and they wanted one. More than that, I could see my son developing my same tendencies toward dogs, like avoiding friends who had big dogs. I didn’t want him to go through life that way, so we got Pepper, an Australian Terrier who looks like a Yorkie on steroids. And within one day, I was changed by how much I adored that dog. We’ve had Pepper almost twelve years and I love her more than I can express. All of the Dogfather books will be dedicated to great dogs I’ve known…and Pepper gets book one. Congratulations on your 2017 RITA nomination for Barefoot at Midnight. Will you be attending the RWA national conference in Orlando this July? Thank you! I was over the moon to get that call and thrilled to see one of my “silver fox” heroes nominated for a RITA! You bet I’ll be there – Orlando is an hour from home. It’s a cliché to say, but so true: it is an honor to be nominated for this award. The competition in contemporary romance is fierce and there are so many, many great books published. To have one singled out and nominated is just the most wonderful feeling. Have we seen the last of your Barefoot Bay characters or is there a chance we’ll see them again down the road? I doubt I could stay away from Barefoot Bay for too long. But, I wrote 18 titles set on that island and I actually needed a break from the beach. (Who says that, right?) I have planted at least four more silver fox heroes as part of the Barefoot Bay Timeless mini-series and I fully intend to write their stories. And, of course, there are more than 50 books set in Barefoot Bay that are not written by me but are part of the Barefoot Bay Kindle World program. Romance readers never have to leave those sun-drenched sands! Just that I love to connect with readers! You can find me on Facebook, Twitter, Instagram and, of course, at my web site: www.roxannestclaire.com. See you there! Thank you for visiting with us today, Rocki. Would you like to ask our readers a question? Yes…tell me about your favorite dog! I love getting ideas for great doggie characters and names! One person who leaves a comment before 11:00 PM, April 26, 2017 will receive a copy of Sit...Stay...Beg from Rocki. And, because I loved this book so much, a second person will receive a Kindle copy of Sit...Stay...Beg from me! Daniel Kilcannon is known as "The Dogfather" for a reason. It's not just his renowned skills as a veterinarian, his tremendous love of dogs, or the fact that he has turned his homestead in the foothills of the Blue Ridge Mountains into a world class dog training and rescue facility. Ask his six grown children who run Waterford Farm for him, and they'll tell you that their father's nickname is due to his uncanny ability to pull a few strings to get what he wants. And what he wantsis for his four sons and two daughters to find the kind of life-changing love he had with his dearly departed wife, Annie. This old dog has a few new tricks...and he'll use them all to see his pack all settled into their happily ever afters! 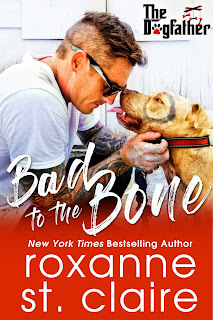 Garrett Kilcannon, a former dot com super-success who now devotes his life to rescuing dogs and finding them homes,prefers to keep his secrets buried as deep as a dog hides his bone. So when Garrett's father pressures him to be interviewed for an in-depth profile, he doesn't care that the journalist is a childhood friend or drop dead gorgeous.He has zero tolerance for the media...until he sees a different side of Jessie Curtis. She manages to breaks through the walls of a rescue dog who has refused to eat. Unwillingly charmed and undeniably attracted, Garrett agrees to the interview that could break down a few of his emotional walls, too. 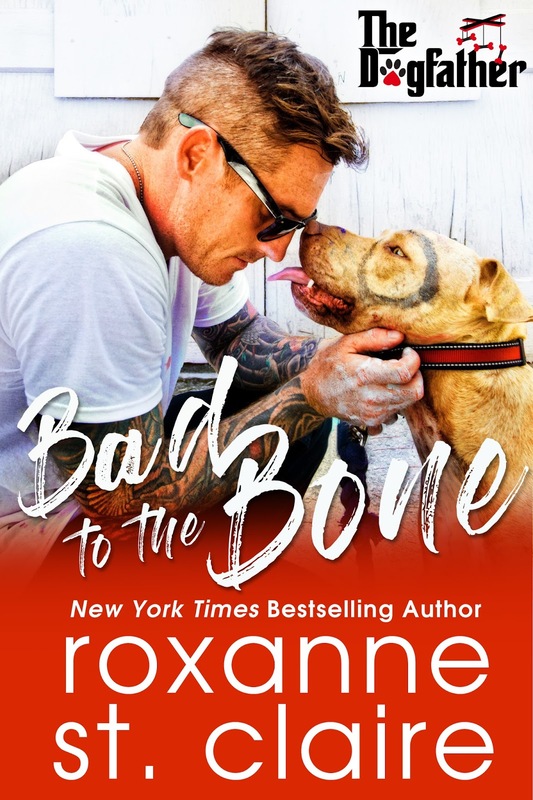 In addition to being an eight-time nominee and one-time winner of the RITA ™ Award, Roxanne’s novels have won the National Reader’s Choice Award for best romantic suspense four times, as well as the Daphne du Maurier Award, the HOLT Medallion, the Maggie, Booksellers Best, Book Buyers Best, the Award of Excellence, and many others. Her books have been translated into dozens of languages and one has been optioned for film. Travis Read never wanted to settle down anywhere—with anyone. He's in Rodeo, Montana, just long enough to fix up a house for his sister and he'll be on his way. Then he meets Rachel McGuire. Beautiful and kind—and with magnetic whiskey-colored eyes—Rachel is everything that Travis could want. Except that Rachel is also very, very pregnant. I've been a fan of Harlequin romances for years but didn't discover Mary Sullivan until last spring. It only took that one book (Cody's Come Home - Harlequin Superromance) to move her from unknown author to Harlequin auto-buy. 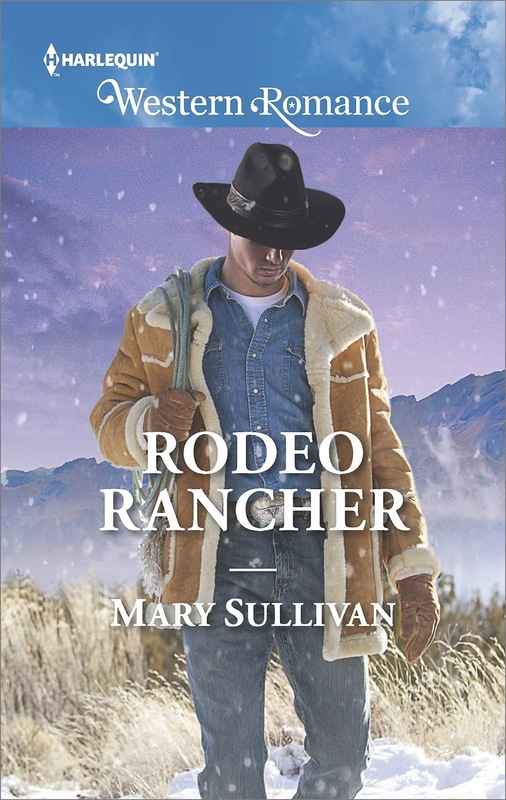 This year, Sullivan moves to the Harlequin Western Romance line with her new Rodeo, Montana series, a collection of stories about the hardworking people in a small Montana town that will tug at your heartstrings and leave you smiling. Each of the first two books can stand on its own but, as part of Samantha's story is told by Travis in Rodeo Father and the ramifications play out in Samantha's book, Rodeo Rancher, I think readers will have a clearer understanding of events and a richer appreciation of Samantha's story if they read the books in order. 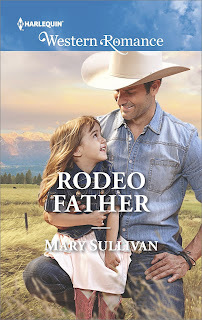 In Rodeo Father, Sullivan pairs a kind, caring man who, because of his childhood, doesn't believe he's cut out to be a family man, with a struggling widow who has an adorable three-year-old daughter and another baby on the way. I loved these characters. Neither Rachel nor Travis has had an easy life but neither is wallowing in self-pity. This is especially true for Rachel who, because of her circumstances, certainly would be justified in a good melt-down. Both are good, caring people who put others before themselves. Their actions speak louder than words and show their true character. Though Travis could have easily become the knight-in-shining-armor rescuer of the story, Sullivan keeps these two on an even keel with "rescuing" on both sides which it made it all the more enjoyable and satisfying in the end. It should be noted that I'm a pushover for adorable kids and Rachel's daughter is one of the best. She plays a vital role in this story, capturing many hearts, mine included. 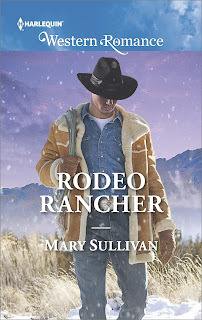 Samantha "Sammy" Read, the heroine of Rodeo Rancher and sister of Travis Read (Rodeo Father) has a zest for life and a penchant for landing in trouble. After blowing the whistle on her crooked boss who swore retribution, Samantha and her sons left Las Vegas and are on their way to the home her brother bought for them in Montana. Sammy's showgirl looks may give people the wrong first impression but this whip-smart woman has a caring heart, a quirky sense of humor, and will do anything to keep her sons' safe and happy. When she sweeps into Michael's home in the middle of a blizzard, the poor man doesn't stand a chance. Mary Sullivan's next book, Rodeo Baby publishes on July 1. I already have it on pre-order and am looking forward to my next visit to Rodeo, Montana! 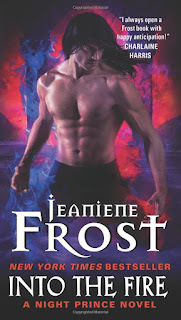 Into The Fire is the fourth and final novel in Jeaniene Frost’s Night Prince series. While the book can be read standing alone, the emotional conflicts will have more resonance after reading the earlier books. This review is written with deliberate avoidance of spoilers for the earlier books. The series hero is Vlad Tepesch, the vampire who inspired the Dracula legend and really, really hates to have that mentioned. 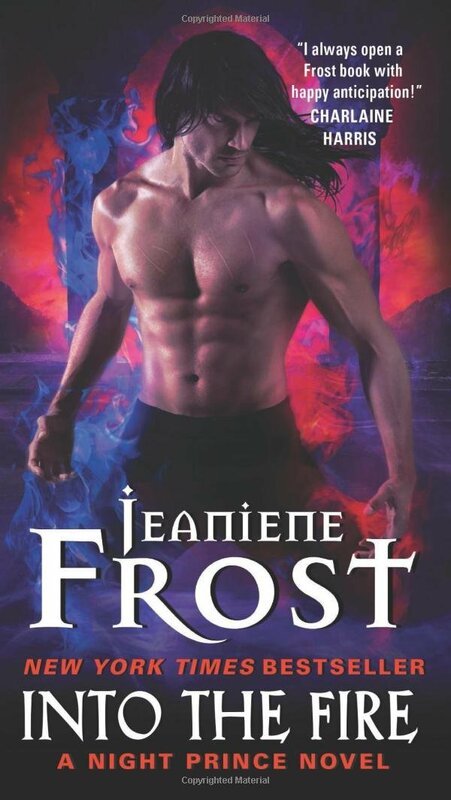 He has similar abilities to the vampires in Frost’s Night Huntress series, with a bonus. Vlad can wield fire as a weapon. Leila, the series heroine, has paranormal abilities. She can channel electricity, which isn’t always a plus because she has electrical current building in her system all the time and must release it periodically. In addition, she can read anyone’s deepest secret at a touch and can pull psychic impressions from objects. Leila and Vlad meet in the first book, Once Burned, after vampires kidnap her and force her to use her psychic abilities to locate Vlad by touching objects. Leila succeeds, but an unexpected mental connection forms between her and Vlad. He then comes to rescue her. At the beginning of Into the Fire, enemies of Vlad have realized that Leila is psychically linked to his stepson, Mircea. Anything that happens to him happens to her, and vice-versa. When his captors carve a blackmail demand into Mircea’s flesh, identical wounds appear on Leila, a demand for Vlad to do their bidding. The rest of the book revolves around the hunt for Mircea and his captors. Mircea is a necromancer. Finding him requires moving among the magically gifted, people against whom Leila’s and Vlad’s abilities are of little use. Their guide in this world is Ian, a flirty vampire with magical gifts he keeps secret because magic is forbidden to vampires. The quest to find Mircea involves a lot of action and firepower, but its emotional heart is Leila and Vlad’s shared fear of losing each other. Leila also fears what Vlad may have to do to save her, especially when she learns that Mircea’s captors are demanding that Vlad kill someone very close to them both and to Ian. Horrified by the way Vlad responds to this demand, Ian makes a terrible bargain with a demon named Dagon, who has sought Ian’s soul for a very long time. This costly bargain, however, does nothing to locate Mircea. The key to finding him and his captors lies in learning the truth about Leila’s heritage, which has been a bit of a mystery through the series. Why did coming in contact with a power line give her these abilities? What other abilities does she have? The answers aren’t always pretty. Nothing comes easily in the Night Prince world, and everything has a cost. That’s one reason the books are so gripping. If no one were ever in true danger, the suspense for the reader would be minimal at best. The book ends by wrapping up some other issues that have persisted through the series. It closes with Vlad and Leila in a scene that provides a very satisfying farewell to this fictional world.